With the impending launch of our new email system we just wanted to remind you of simple steps when you are setting up your account. If you wanted to unify your email into one single location allowing you to have copies of ALL your email on your smartphone, webmail, and work account it now could not be easier. 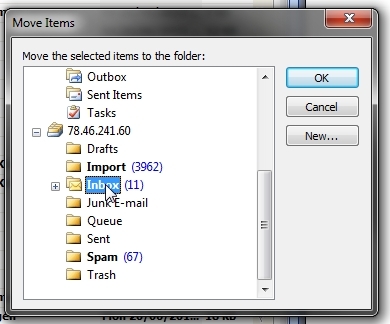 You can copy all or just some of your email into the new IMAP account that you have created in your email program. Once you have created the new email account in your program eg. 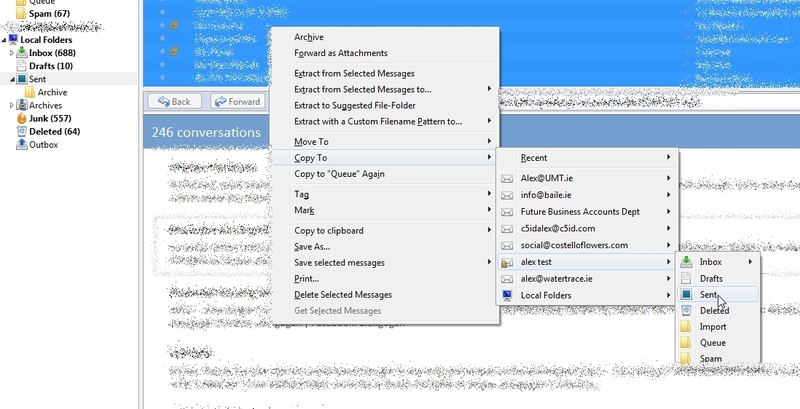 Outlook, Thunderbird etc, moving your old emails into the new account could not be easier. All that is needed is for you to drag the email or the folders to the new IMAP account, and after a short period of time ALL of your email and their folders are in the new location. Go to your old "pop" account and either rightclick the folder or individual emails, this then opens a dialog box that allows you to do cetain things with that email or email folder. From here you can either move or copy the email or folder. If you move then this will move the files to the new location, copy is as simple as making a copy of this email and placing another version in the new IMAP account. Which ever you choose the result is the same, another sub dialog box with options apper, as to where you want to place the files, Select the desired target folder and a "Copy Here" option appears. Select this. Once done depending on how many emails or the size of the folder this should take from a few seconds to several minutes. Then the next time you log into the new FBI IMAP service in either your smart device, webmail or computer you will see these emails there as well. This is the exact same process, except you only have the "move" option for emails but you have the "copy" function for folders. See the screenshot for an example.